We are very excited to announce Cory Lee from Curb Free with Cory Lee as our first Keynote Speaker for TBEX North America 2018 at the Corning Museum of Glass in Finger Lakes. Cory’s keynote address promises to be inspiring and informative, and it will show our conference attendees that there are no limits, whether in travel or in the blogging world and far beyond. Cory Lee Woodard was diagnosed with Spinal Muscular Atrophy at the age of two, but that has not diminished his desire to travel – wheelchair and all. He has traversed six continents and blogs about his accessible (and sometimes not so accessible) adventures on CurbFreeWithCoryLee.com. From trekking through the Amazon to hot air ballooning over Israel and everything in between, Cory has been breaking boundaries in wheelchair and accessibility travel for years, and has proven that anything is possible. 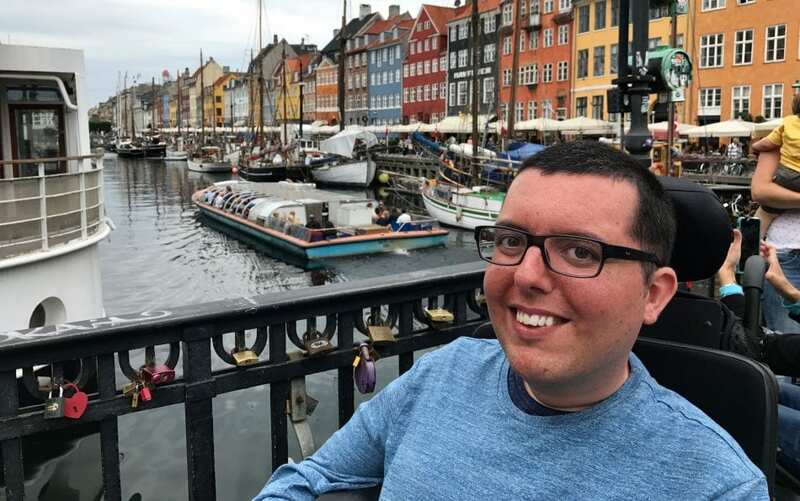 Since starting his blog, Cory has gained more than 50,000 followers across social media and has been featured in the Los Angeles Times, USA Today, Travel Channel , CNN, US News & World Report, as well as numerous other media publications, and is highly regarded as a leading expert in accessible travel. Cory Lee was recently announced as winner/recipient of the Lowell Thomas Award for “Best Travel Blog of the Year” by the Society of American Travel Writers at the 2017 SATW Conference in Portland, Oregon. The team at TBEX Events is thrilled for Cory Lee Woodard and his list of extraordinary accomplishments. We are incredibly proud to announce him as the first in an all-star lineup of keynote speakers at #myFLXtbex at Finger Lakes Wine Country, New York, September 11 – 13, 2018! Register for TBEX North America 2018 in Finger Lakes Wine Country, NY, and join us September 11 – 13 as we welcome Cory Lee, Dave and Deb from ThePlanetD, dozens of other incredible speakers, and several hundred travel bloggers and media and travel brands for #myFLXtbex! What an inspiring story! Looking forward to hearing Cory speak in the beautiful Finger Lakes!